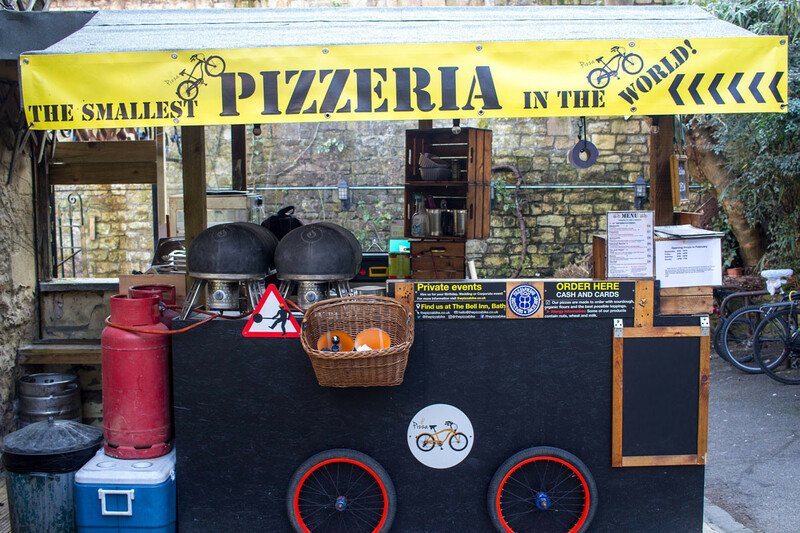 The Pizza Bike | The Smallest Pizzeria In The World! 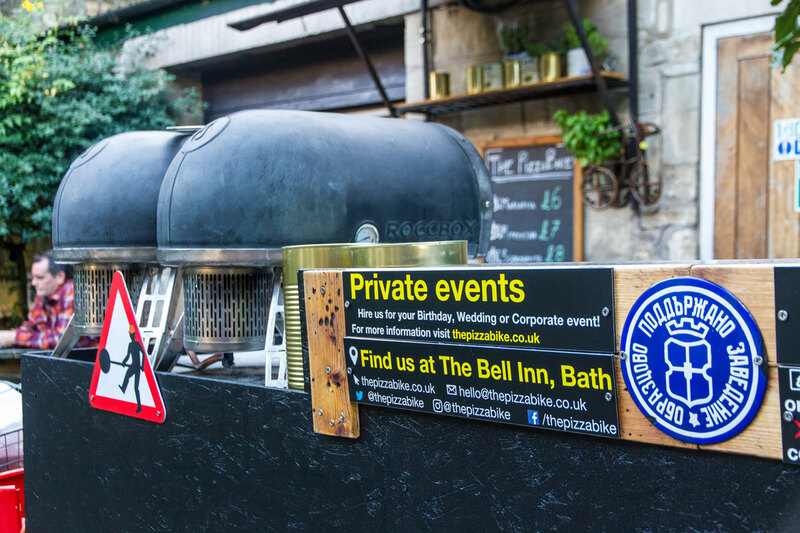 Hire us for your Wedding, Anniversary , Corporate event, Children's party or visit us at our shop at Green Park Station, Bath. 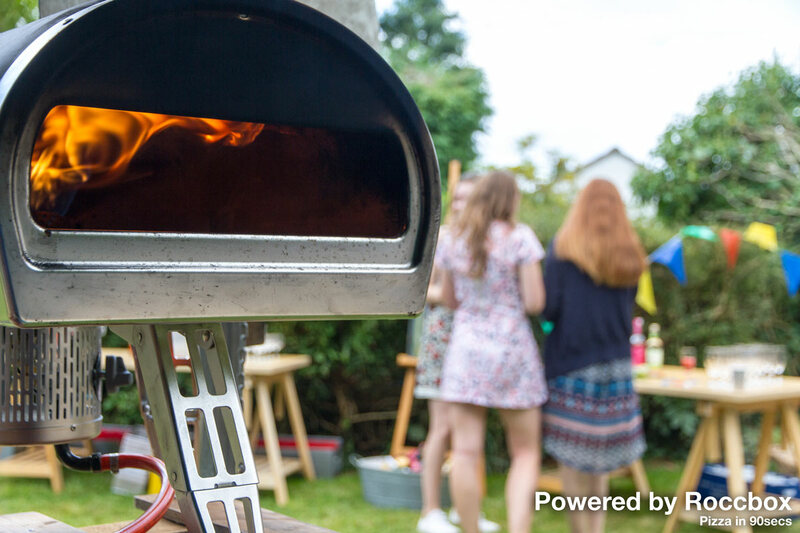 Life is a pizza! 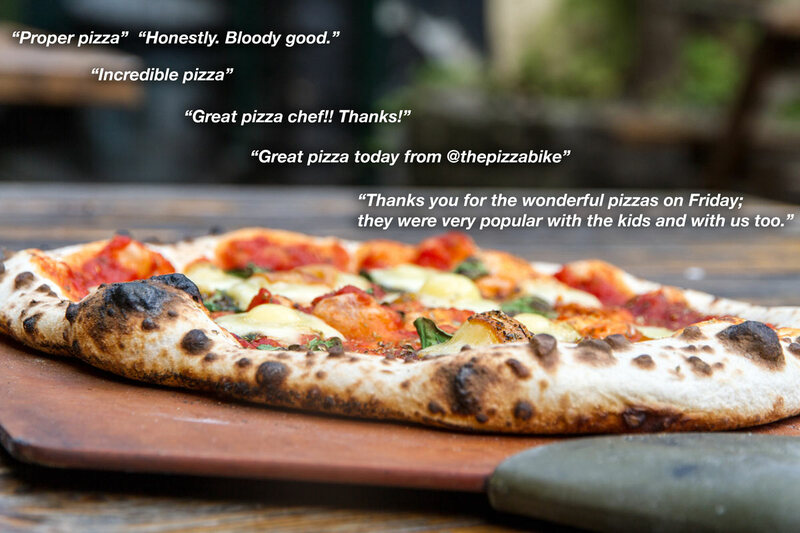 Welcome to The Pizza Bike’s Universe! 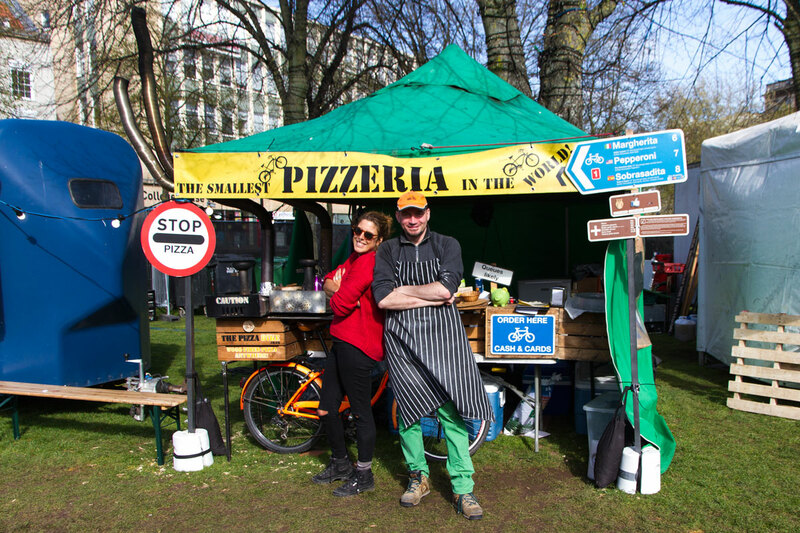 The Pizza Bike is the first portable pizzeria able to serve customers at any location accessible by bike. 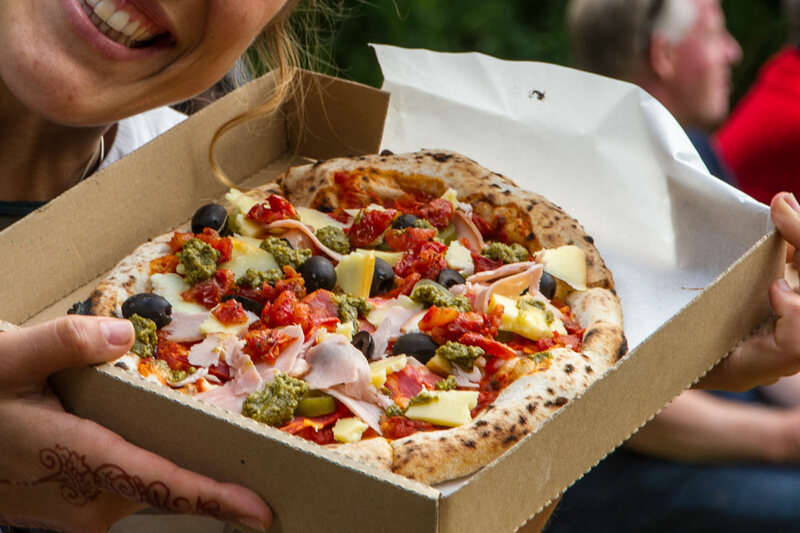 The project started in 2014 as an art installation and slowly evolved to The Smallest Pizzeria in The World. 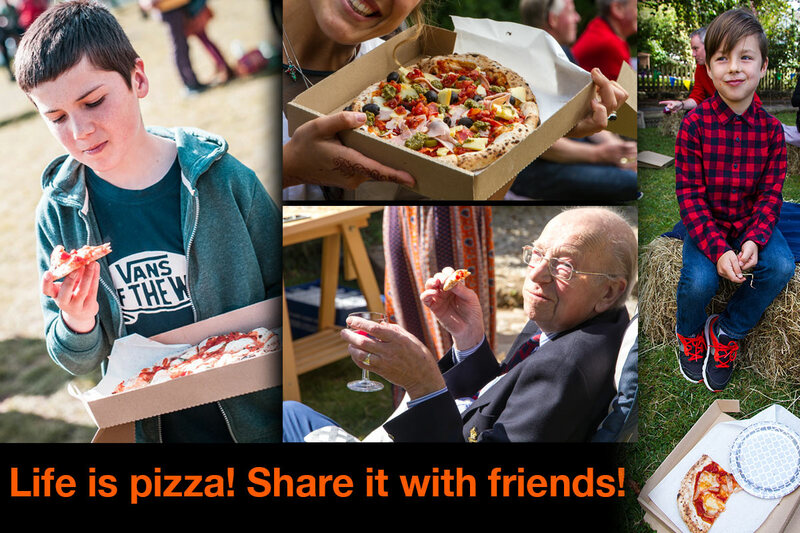 Since April 2015 you can find us selling fresh pizza, handmade pizza dough and making people smile around Bath, Bristol, South West England and beyond! 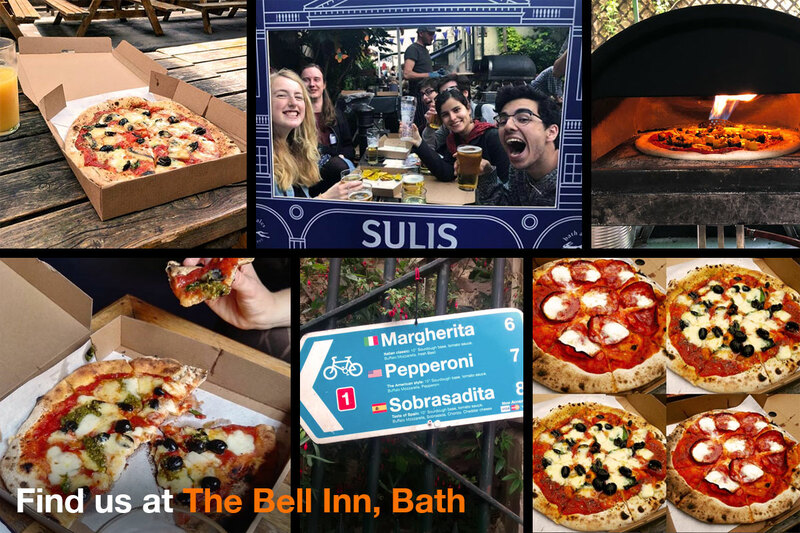 You can now find us trading at The Bell Inn, Bath on Wednesday, Friday, Saturday / 5PM – 9:30PM / and on Sunday /12:00PM -7PM/. 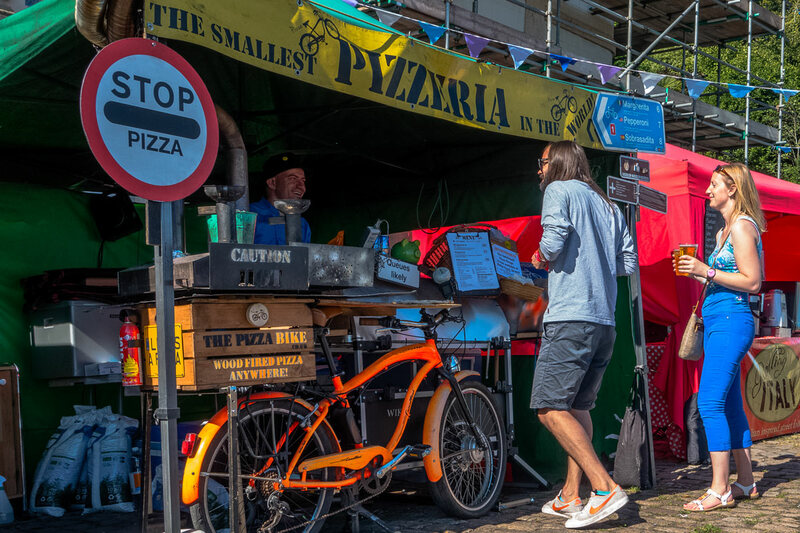 The Pizza Bike is a full flavour restaurant (just without all the bricks) using the best possible ingredients to deliver you an amazing sourdough pizza at fair prices. 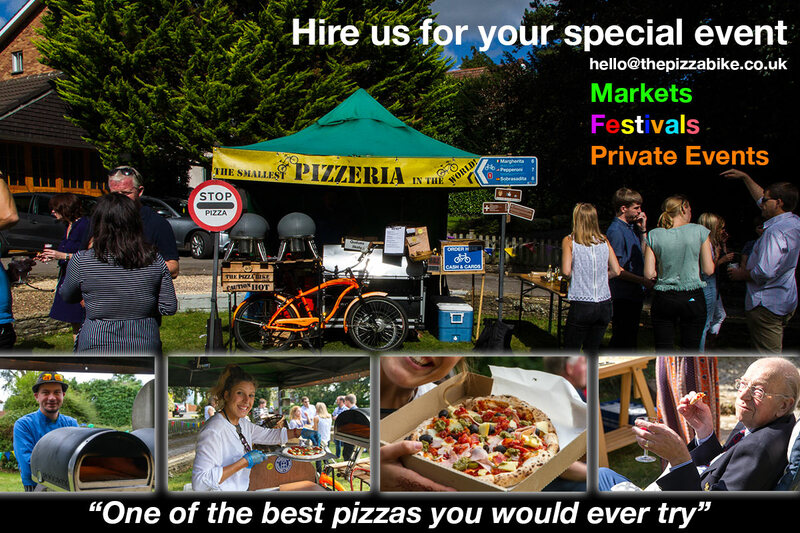 Hire us for your Wedding, Anniversary, Corporate event or Children’s party. 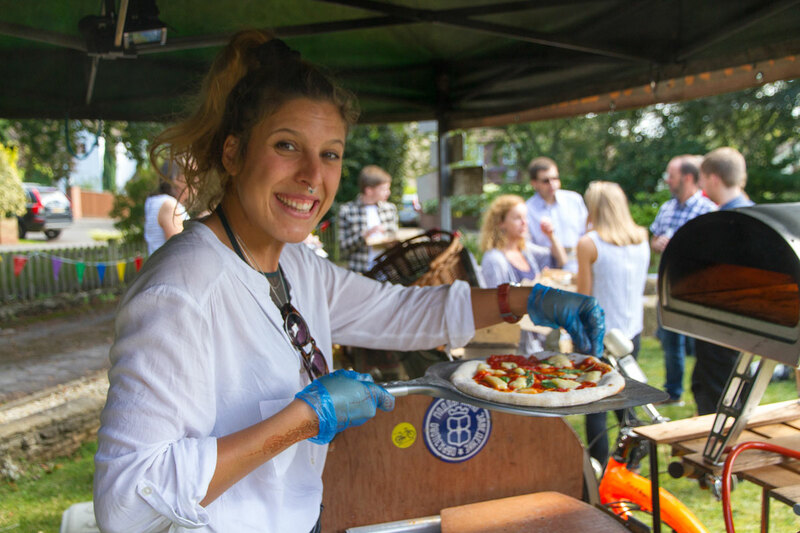 We’re available for events in Bath, Bristol and Somerset area. Follow us on Twitter, Facebook or Instagram for the latest updates and news about our whereabouts! 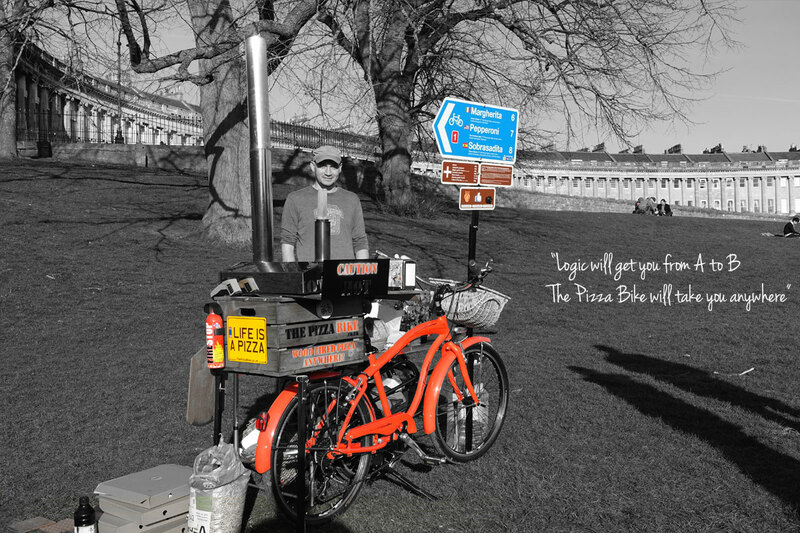 Pizza Bike's Most epic bicycle ride!